Home renovations in Orlando are a common phenomenon in the city of Sanford, FL. Several residents especially the new occupants renovate their homes so that it can fit their individual style and lifestyle. There are different renovation plans that residents of Sanford, FL opt for and they are outlined below. New occupants of Sanford, FL and other cities in Florida usually select this renovation scheme as it is the general renovation of the entire house. With this renovation, no area of the house is left untouched except instructed by the resident of the house. This method of renovation is essential for all occupants looking to show off their personal style and is renovated to accommodate their varying lifestyles. Complete home renovations in Sanford are not expensive with regards to the amount of work that will be carried out in the home. The Homestyles Group will ensure that the renovation activities will go smoothly as there is a general plan for the complete renovation of the home. 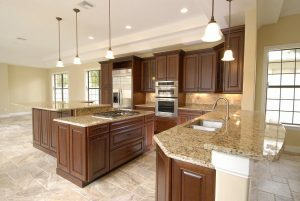 Most people choose complete Sanford kitchen remodeling as it gives them the opportunity to upgrade their kitchen appliances as well as give their kitchen a much-needed revival. Sanford kitchen remodel is a very prevalent type of remodeling and this is due to the fact that the kitchen is a very integral part of the house. Remodelling the kitchen cabinets in Sanford, FL, houses is another aspect of kitchen remodeling. Most of the time, the kitchen cabinets are not performing the complete tasks they are meant to perform which leads to the residents looking for different ways to upgrade the cabinets. Cabinets are an essential part of the kitchen and by getting custom cabinets in Orlando is the perfect way to bring a game changer to your Sanford kitchen. The bathroom is another integral part of the home. Residents usually remodel their bathrooms to suit their needs and the needs of their families. With families with kids, the Bathrooms are remodeled to suit the needs of the children to avoid bathroom accidents. 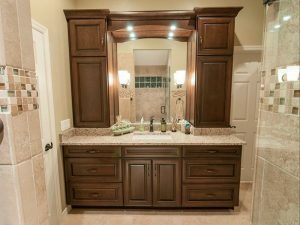 The bathroom remodel is usually tailored to put in the personal touch and style of the clients. There is no bathroom design that The Homestyle Group cant achieve. 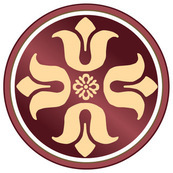 Whether you are looking for a complete home renovation in Sanford or just looking to remodel your kitchen or bathroom, The Homestyles Group have everything it takes to bring your unique design to life. With our highly skilled team of professionals, we will do our best to ensure we hit every nook and cranny in your layout. Contact us today for more information and don’t forget to check out our Orlando Showroom.